Drew Carr is the Co-Founder of Fidelity Sports Group. Drew leads Fidelity Sports’ efforts in corporate relationships, client acquisition and management, media management, and general client management and marketing. With his interest in marketing and developing technology, Fidelity Sports is able to stay in front of evolving trends, and thus able to better serve their client’s needs. Born in Philadelphia, Pennsylvania, Drew grew up in Delaware as an avid junior golfer. After winning the Delaware Junior Amateur and having top ten finishes in three high school state tournaments, Drew went to Rollins College in Orlando, Florida where he majored in Political Science and played for two years on the men’s varsity golf team. While completing his undergraduate studies, Drew began to expand his interests in business and independently started a public relations and event planning firm focused on Orlando’s entertainment, hospitality and service industries. He was successful in helping clients reach new heights in their respective projects which included live concerts, charitable events, venue launches, and grand openings, re-branding initiatives and celebrity appearances. By 2006 he sought to combine his love of business and marketing with his passion, the game of golf, by securing a position with David Moorman at SportsLink Consulting , which would later be transitioned into Fidelity Sports Group. While at Sportslink Consulting, Drew assisted on client marketing and business development projects including Rick Smith, Ricky Carmichael, and professional golfers Tim Petrovic, Jim McGovern, Ben Crane, Lee Janzen, Patrick Sheehan, Grant Waite and various corporate consulting opportunities. Additionally Drew executed case studies on the industries of Action Sports and NASCAR, which provided in depth analysis of all aspects of the sport(s) from logistics, to key figures and sponsorship values. When David Moorman had a new vision, which led to the creation of Fidelity Sports Group, LLC he asked Drew to come along with him in the founding of the company. Drew has led projects and successful negotiations with companies on behalf of clients including Chase, Mastercard, Beaumont Health Systems, Zepp Labs, Harmony Turf, Under Armour, Perry Ellis, and Draft Kings not to mention brands endemic to the golf industry. In 2013, Drew led efforts to launch Fidelity Sports’ media division. Since, Fidelity Sports has successfully negotiated opportunities on behalf of clients with SiriusXM, NBC Sports, Comcast and Golf Channel. In addition to PGA Tour client opportunities, Drew has closed numerous advertising relationships for Fidelity Sports media clients. 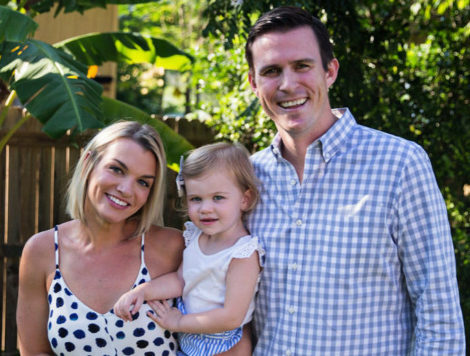 Away from the office, Drew has served as a community mentor to underprivileged youth in the Orlando area through the Big Brothers Big Sisters of Central Florida Organization since 2008. Drew, his wife Tami and their daughter Palmer live in the Doctor Phillips area of Orlando, Florida.